Outgrow is a “Management Consulting” firm, offering a wide range of specialized Knowledge & Business solutions to start-ups and SMEs, and founded by a team of professionals with extensive working experience in large MNC’s and FMCG’s at CxO levels. Outgrow’s service model is largely built on four work-streams of value consulting, HR & recruitment solutions, capital acquisition/loans re-structuring and out-sourcing. In addition, they help organizations assess, implement and optimize relevant ERP solutions suiting their specific needs. Mr. Navin Ahuja, Founder & CEO of Outgrow Consulting, is a finance professional having worked extensively in the corporate world over a span of 20+ years with HSBC, American Express, Coke, DuPont and British Oxygen Company, before deciding to turn entrepreneur as a “value-consulting professional”. In his last corporate role, he was the “Chief Operating Officer” at HSBC’s finance back-office in Gurgaon. Outgrow’s servicing model does not end at publishing a solution paper and exiting on the client. 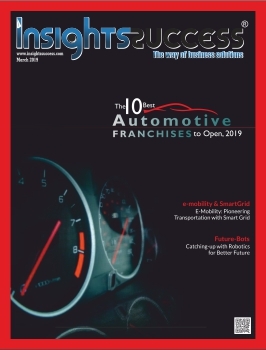 Instead, they continue to engage well enough for further implementation of the solution, until it is driven towards its logical end of realizing tangible measurable benefits and the desired turnaround has been fully accomplished. 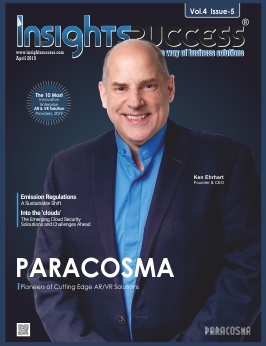 The interregnum between solution identification and its absolute implementation requires extensive back & forth communication with multiple stakeholders and right amount of governance & control to ensure things progress as per plan. At every stage, it becomes imperative that performance be measured and overall progress reported. The risks & challenges faced on the way need to be identified and resolved early on, for faster achievement of desired results. As a principle, Outgrow gets into the thick of things to becomes an integral part of the management team, versus providing mere helicopter services. Perseverance and “right approach to customer service” are the key values of Outgrow’s business. During intial days, building acceptability for their service offerings, specially with start-ups was quite a challenge. Some start-up entrepreneurs were initially hesitant. Some others, though more enterprising, gave them a chance with a dash of skepticism. Slowly, as Outgrow set foot, entrepreneurs could clearly perceive and even acknowledge the difference they were able to bring about. Outgrow’s professional, methodical and scientific approach hit the mark in minimal time. Owing to Outgrow’s unlanguishing focus on client-servicing, their clients get firmly placed for achieving their vision and long term strategy. They benefit from a higly motivated workforce through use of “performance-based-approach”, employee friendly HR policies, efficient & robust processes, better financial control, 100% compliance, larger brand visibility, leaner organization, a deeply embedded governance & control mechanism, and finally better financial performance with improved EBIDTA margins. Today, with a proven track record of 2 years, Outgrow has immense confidence in the strength of its servicing model, that is complemented with latest technology solutions to cater to market’s ever-growing need for smart & innovative solutions. For the next two years, its focus will be on enlarging its presence within all the work-streams. By the end of 2017, Outgrow plans to be a firm of 150+ employees, with renewed focus on promotion of start-ups, and presence across all major metros. Stay Financially Fit In 2019! 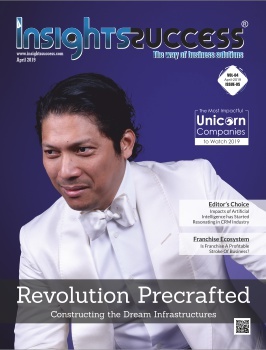 Insights Success is the Best Business Magazine across the globe for enterprises. Being a progress-driven platform, it focuses distinctively on emerging as well as leading companies, their reformative style of conducting business and ways of delivering effective and collaborative solutions to strengthen market share. Here, we talk about leaders’ viewpoints & ideas, latest products/services, etc. 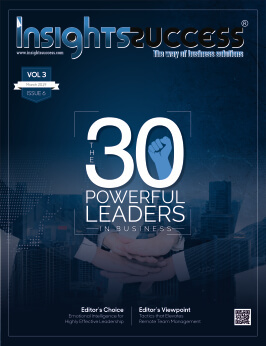 Insights Success magazine reaches out to all the ‘C’ Level professional, VPs, Consultants, VCs, Managers, and HRs of various industries.